This was like some patchwork quilt that you’ve imagined in your mind. You can see just how beautiful and perfect it will turn out. In your mind’s eyes, all the colours and patterns mesh perfectly and you can follow it through with your eye, each sweep of you vision leads you to a more perfect piece…and it’s not only beautiful but you know it’s warm and comfortable as well. However, once you actually sit down to join all the colours and bits together, you completely lose the vision and once you finally finish it, you can see all the stitches, and not in a good way. The colours don’t flow, they clash. It’s not warm and comfortable at all. It’s a bit thin and scratchy. Do you think I am happy to write a review like this? Errrrr…no! I wanted to love this book. 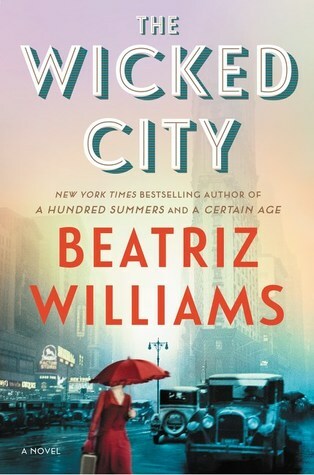 My first Beatriz Williams book. I started this book and NEEDED to love it. I so enjoyed it so much at the start. But as it went on it just went way off track for me. I became completely lost along the way. Bits that were meant to tie it all together were just thrown in to complete a picture…but you CAN’T just throw bits in…you have to explain how you go there…and it has to make sense! You can’t teach a Maths class by giving a final number and expecting the students to know how you reached that number! You can’t present a problem in a novel, then some farfetched solution and expect the reader to be able to sort it out either.